David Bernhardt, who is set to become acting Interior secretary, has pleased President Donald Trump but is drawing attacks from environmental groups. Like former Environmental Protection Agency chief Scott Pruitt before him, Interior Secretary Ryan Zinke has an experienced deputy steeped in the world of bureaucratic infighting ready to fill his shoes — one with longstanding ties to the energy industry he now regulates. Deputy Interior Secretary David Bernhardt, a former lobbyist for the oil, gas and water industries that rely on Interior’s decisions, is poised to become acting secretary following President Donald Trump’s announcement Saturday that Zinke will leave by the end of the year. And that’s already alarming environmentalists, some of whom had said they might prefer to see a distracted, scandal-plagued Zinke stay in the job. Bernhardt, who joined the Trump administration last year, has taken the lead in softening the department’s protections for endangered species, a move that will make it easier for oil and gas companies to drill on ecologically sensitive lands. “He knows how to make that agency work, and he is why Interior is now considered ‘best in class’ in terms of agency performance,” said Stephen Brown, a lobbyist at RBJ Strategies. Green groups quickly called for more scrutiny of Bernhardt’s record. 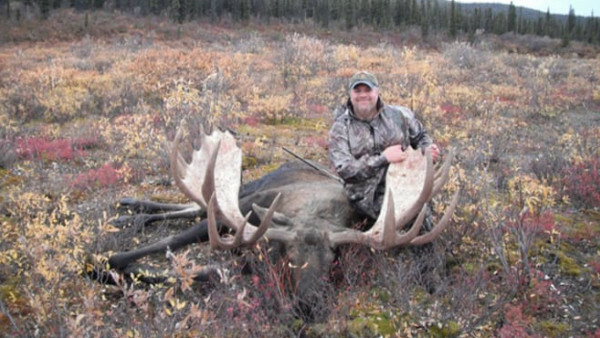 “If Ryan Zinke was bad, his likely replacement, David Bernhardt, is even worse,” the Alaska Wilderness League said in a statement Saturday. And Bernhardt may end up with the post permanently, according to a source who said Trump has been happy with his effectiveness in running the bulk of the agency on Zinke’s watch. The source said it might be too problematic for Trump to find another Interior candidate amid a series of other high-level vacancies in his administration. Other names have been floated among industry representatives and green groups, including Rep. Cathy McMorris Rodgers (R-Wash.), whom Trump had reportedly considered for the job two years ago — but who had been quick to criticize Trump’s leaked boasts about sexual assault a month before the 2016 election. McMorris Rodgers is not interested in the job now, a source said Saturday. The consensus is that picking Bernhardt — already confirmed by the Senate — would be the path of least resistance. On the other hand, Bernhardt might not want the job, said one lawyer who has business in front of Interior. “Some folks think he [Bernhardt] may not want to stick around for another two years and may actually see all the of the ceremonial and speech-making functions of the secretary as a distraction from getting done the things he wants,” said the lawyer, who asked for anonymity to discuss personnel issues. Bernhardt has been on notice for quite some time that he might need to step in for Zinke, whose troubles included an ongoing investigation of a land deal in Montana — first reported by POLITICO — tied to the chairman of Halliburton, one of the world’s largest energy companies. Interior’s inspector general has referred that probe to the Justice Department for potential further investigation or even prosecution, according to several media reports. Bernhardt, a former lobbyist known as “a lawyer’s lawyer” in the industry, could wind up playing a role similar to the one that longtime Washington lobbyist Andrew Wheeler has played since >becoming acting administrator of the EPA this summer. In contrast to former EPA chief Pruitt, who had alienated even many Republican lawmakers with his cascade of personal scandals, Wheeler has kept a relatively low profile while continuing to methodically roll back environmental rules and promote coal and oil production. Bernhardt worked at Interior as solicitor during the George W. Bush administration, a time when the department had also been rocked by scandal over its division overseeing energy leases. He then went to lobbyist firm Brownstein Hyatt Farber Schreck, where he worked for a client seeking to pump water from the Mojave desert to Southern California. Many environmental activists fear that Bernhardt would be more effective than Zinke in executing Trump’s agenda. In fact, they contend he’s already doing it, having taken meetings with appropriations staff and led policy on top-tier items like overhauling the Endangered Species Act and reorganizing the department. “Why would I want him to take over? I can’t say that I do,” said Aaron Weiss, media director with the Center for Western Priorities, told POLITICO earlier this fall. Zinke’s tenure has been under a cloud formed by multiple investigations into his behavior at Interior. The IG office has been looking at his ties to Halliburton Chairman Dave Lesar, who met with Zinke at Interior headquarters to discuss a real estate deal involving land owned by a nonprofit Zinke established that is now controlled by his wife. The IG is also looking into whether Zinke bowed to political pressure in blocking requests from Native American tribes to open a Connecticut casino. That probe was requested in response to POLITICO’s report on lobbying by the tribes’ business rivals. The heat on Zinke was only going to ratchet up in January, when Democrats take control of the House and with it the power to launch new probes into Trump’s Cabinet. While the investigations kept Zinke’s names in headlines, Bernhardt has quietly been taking on much of the responsibility for pushing Trump’s agenda, sources have said. Bernhardt has taken a lead role in what had been Zinke’s signature policy effort — reorganizing the department and sending more staff to Western states. Bernhardt has become “the main point of contact” on the reorganization, Jay Tilton, a spokesperson for Senate Appropriations Committee Democrats, told POLITICO in October. Requests for records have turned up scant communication from Bernhardt — raising additional fears among green groups. The watchdog group American Oversight urged the investigators who have spent the past year and a half probing Zinke’s abundant alleged conflicts of interest and potential misdeeds to turn their attention to his replacement. Kind of wonder if this wasnt the purpose of the fumbling, corrupt ineffective heads of the EPA & the DOI in the first place – “dont look at the man behind the curtain?” Scary..
With the tepid enthusiasm of an overworked elementary school principal, David Bernhardt, the second-in-command at the Department of the Interior, stood in the newly refurbished auditorium at the agency’s Washington headquarters, trying to get the staff settled down before a routine town hall with the secretary. Bernhardt is the perfect No. 2 to a highly visible No. 1. Zinke is the folksy charmer; Bernhardt is the strictly-business lawyer. Zinke is the relative outsider, an opportunist, and a politician; Interior watchdogs say Bernhardt is the ultimate DC swamp creature. Interior Deputy Secretary David Bernhardt, a quintessential revolving-door figure in Washington, met with lobbyists in late 2017 who were making the rounds on behalf of their client, a major casino and resort company that is hoping the department’s Bureau of Indian Affairs rules in its favor. The Interior Department had not responded to a request for comment from ThinkProgress at the time this article was published. saying “Lobbying termination effective as of filing. Subsequently, Bernhardt was nominated to be the deputy secretary of the Interior Department. discussion we had on the phone this afternoon. Bernhardt was providing legal advice but had “ceased all lobbying activities. For an example of the important things that these calendars tell us, check out “E.P.A. Chief’s Calendar: A Stream of Industry Meetings and Trips Home” from the New York Times.